There are no important economic reports in Japan but the US is releasing Industrial Production YoY and Housing Starts MoM. 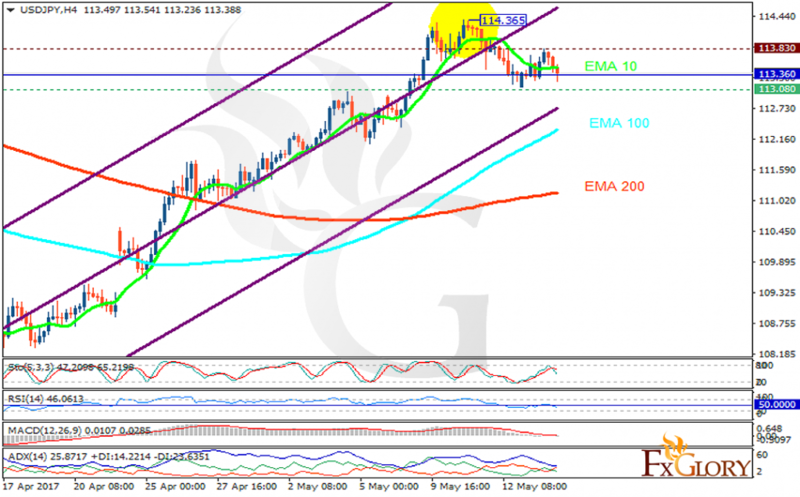 The support rests at 113.080 with resistance at 113.830 which the weekly pivot point at 113.360 is located in between the lines. The EMA of 10 is moving horizontally and it is above the EMA of 200 and the EMA of 100. The RSI is falling towards the oversold area, the Stochastic is showing downward momentum and the MACD indicator is in neutral territory. The ADX is showing sell signals. Short positions are recommended targeting 112.50.